Give the gift of inspiration. 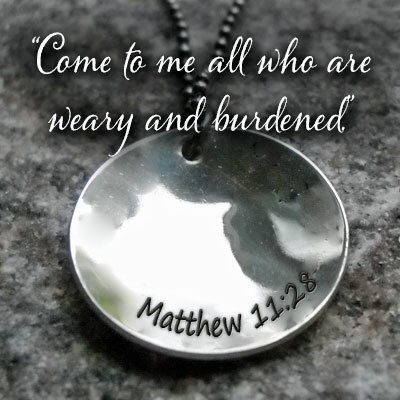 This beautiful Sterling Silver Pendant is hand stamped with the Bible Verse Matthew 11:28. What a wonderful message for someone who needs a bit of Peace and Hope and to hear that there is indeed a plan for them and that they can be strong no matter what their circumstances. Providing strength and trust not to give up and that they are loved. 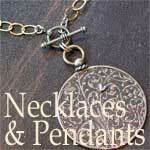 Wearing this pendant and reading the verse can give hope to all who wear it - including you!